I am SO proud of my coaches at both Takoma and Laughlin! As you know, the coaches are the ones on the front lines in their respective hospitals, promoting the CH program to both the employees and patients in their units. They are not only hanging up fliers, decorating bulletin boards as well passing out books and other promo materials, but they are coming up with fun, creative things that the people in their departments can do together, to live out a Creation Health-y lifestyle by making small changes in each of the 8 principle areas that affect our overall health and well-being. For about 6-8 weeks at a time, we focus on one letter principle, with a few weeks break in between. We started with C - Choice in the fall, R - Rest through the holidays, A - Activity in the new year and are now heading into N - Nutrition as Takoma finishes up its "Biggest Loser" contest. 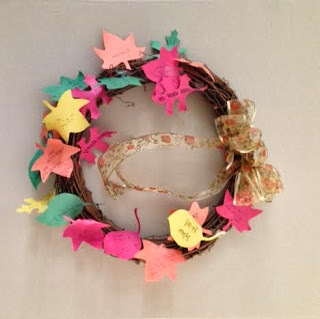 Here are some of the fabulous ideas that my coaches have done along the way! 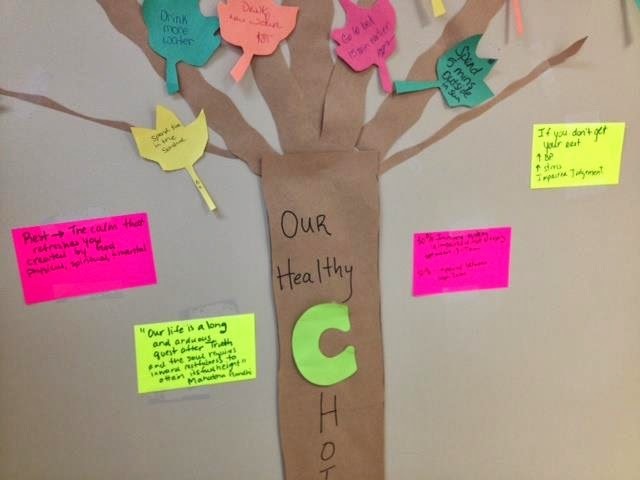 A fall tree, where employees write one healthy choice that they are going to make for 2 weeks. After the 2 weeks has passed, they report their experience. 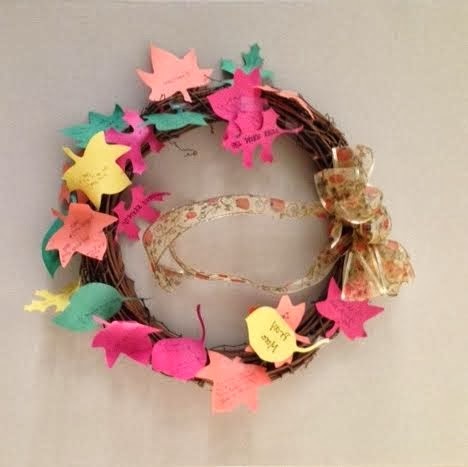 A fall wreath, where employees do the same thing as they did for the fall tree (see above). Encouraging thoughts and quotes, posted for employees to read. 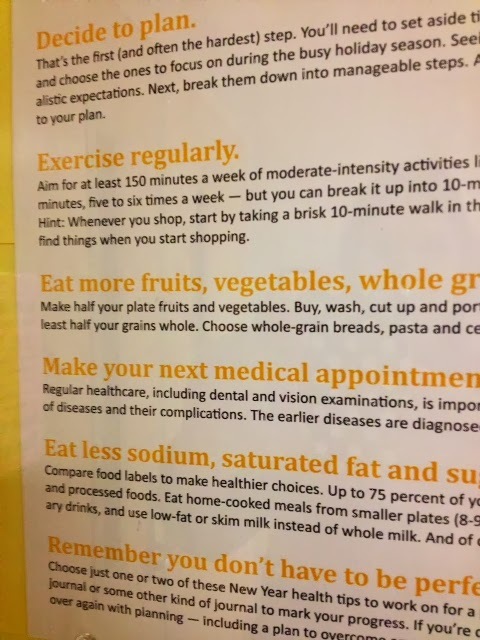 A list of healthy choices that employees can apply to their lives, posted in the break room. 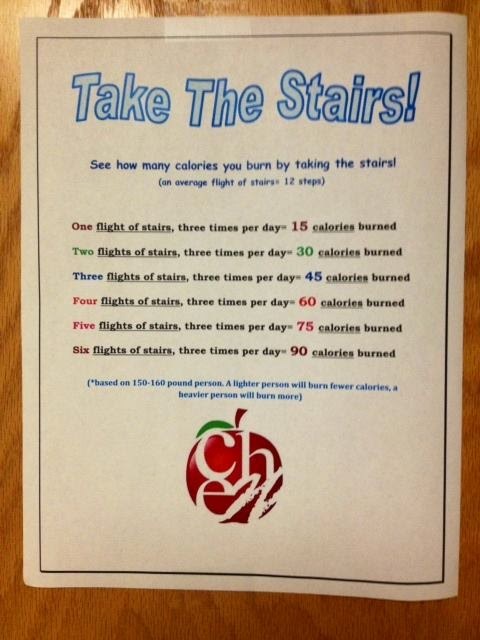 A "Take the Stairs" flier displayed, showing the benefits of taking the stairs instead of the elevator. 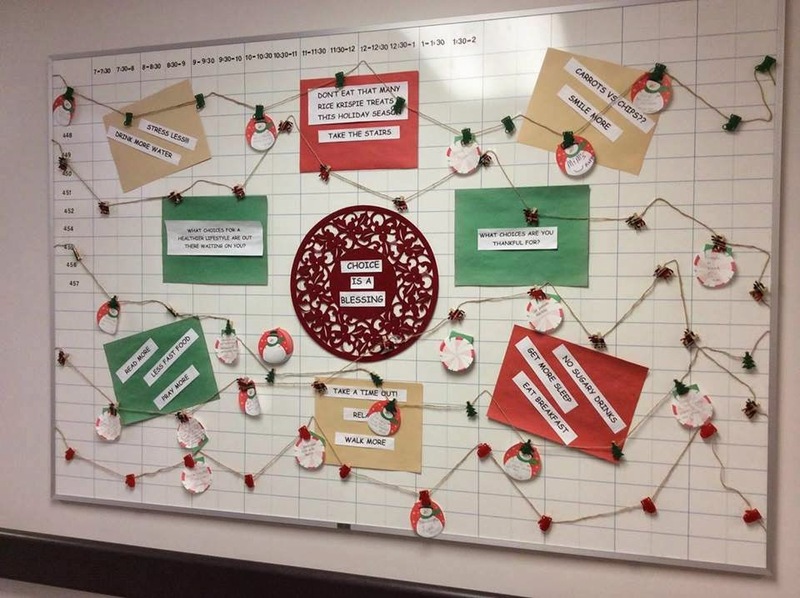 A choices Christmas board displaying healthy choices, with a place for employees to write out the healthy choices they are committing to implement. 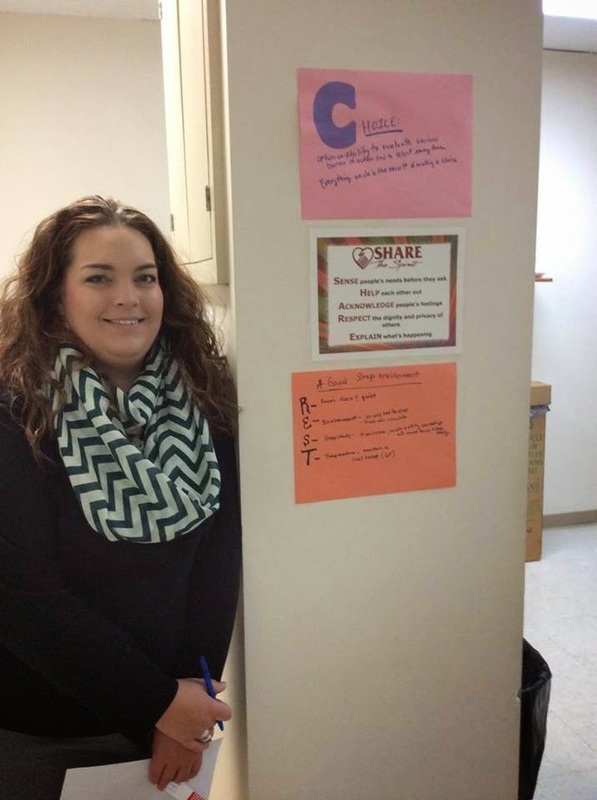 A grab bag, where employees draw out a healthy choice that they must try out for 1 week and report their experience. The next week they draw a new one. Healthy snack options for employees, in addition to what is available in the vending machine. A daily joke sent through email, to give employees a laugh break each day. 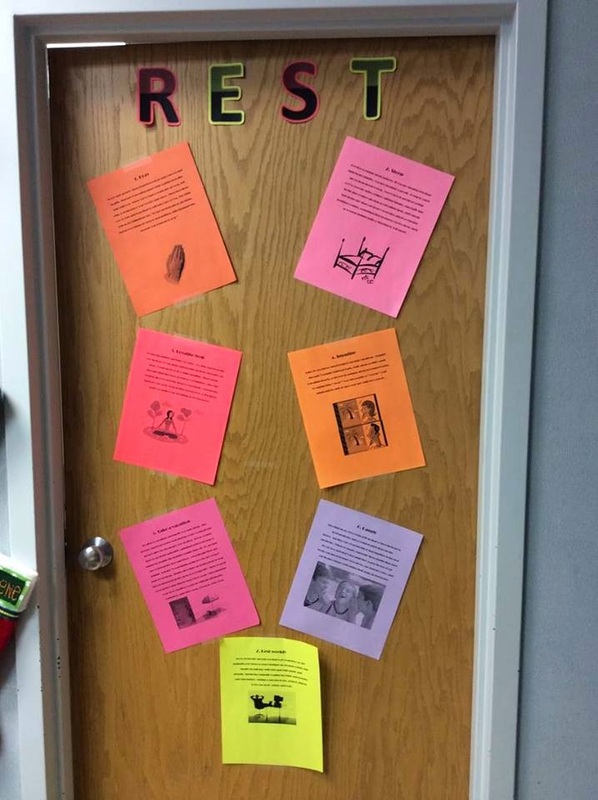 Rest related tips, sent to employees in an email to kick off the 6 weeks of rest or posted around the unit. 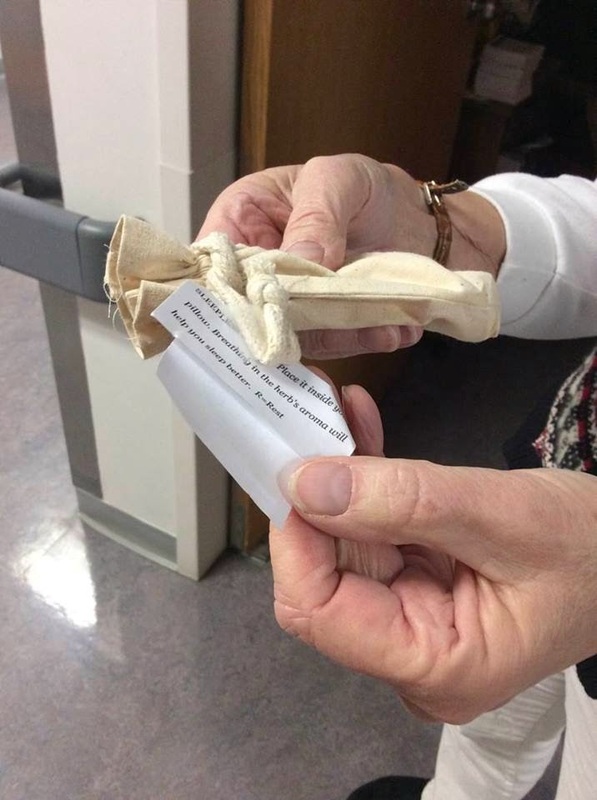 A bag of herbs for employees to place inside their pillow, to help them sleep better. 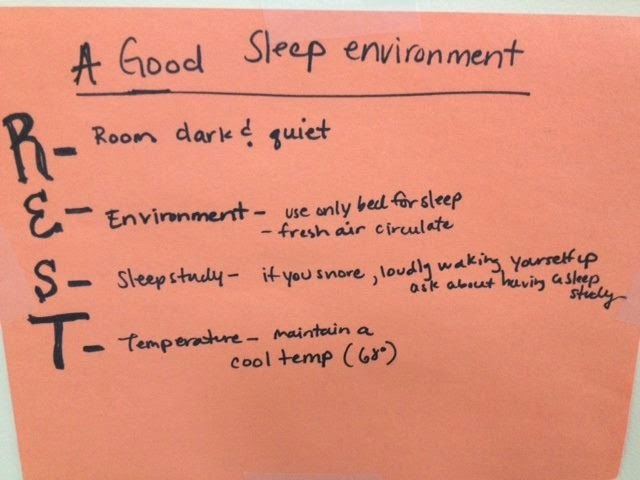 A sleep contest, where employees track sleep time and there is a winner for most sleep overall as well as most consistent sleep hours each day. 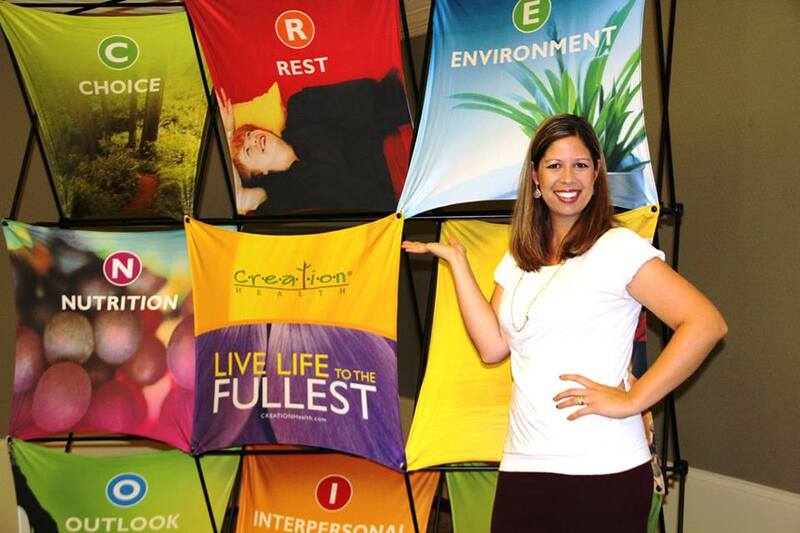 1 minute massages and "fresh air" breaks for employees. 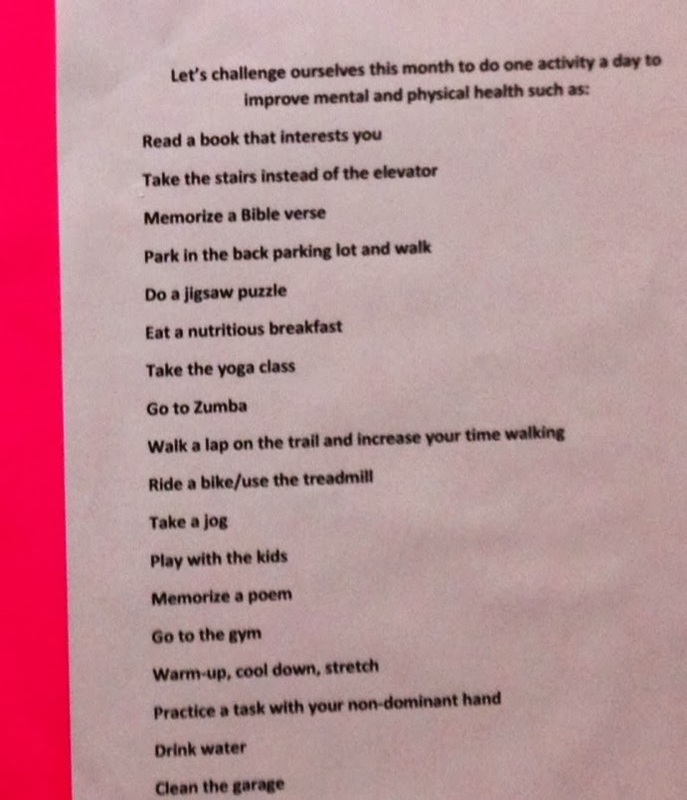 Bulletin boards in highly visible/trafficked areas with reminders, tips for getting both physical and mental activity into your day. 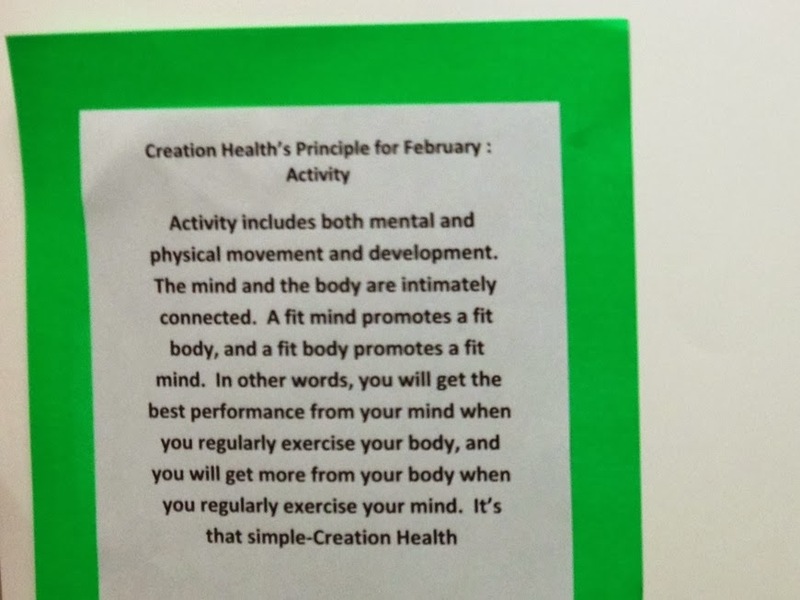 The next Creation Health principle that we will be focusing on is ACTIVITY. The project that we will be doing for Activity will be a STEPS CONTEST! The contest will run from February 14th – February 28th and will include everyone on 2nd floor. If you know of someone that is not included in this email on 2nd floor, please share this with them and let me know. 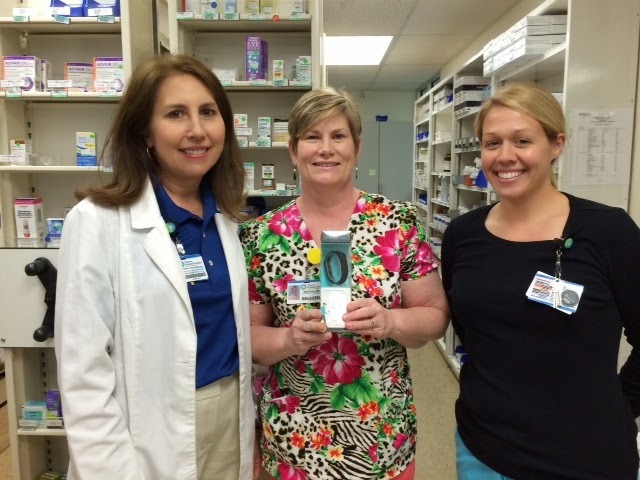 Here is what you will need to do…..
*Purchase a pedometer (see below on pricing and locations for pedometers). *Each day log the number of steps that you’ve taken for that day (see attachment for a log sheet). *Turn in your log sheets with your name on them-the steps that you turn in are only from 2/14-2/28. All log sheets must be turned in by Tuesday, MARCH 4th. You can turn them in by email, inter-office mail, or slide under my office door (2nd floor-Diabetes Education). ANYONE WHO COMPLETES AT LEAST 50,000 STEPS DURING THE CONTEST TIME FRAME WILL BE ENTERED TO WIN A BRAND NEW FITBIT FLEX!!! FITBIT FLEX IS A $100 VALUE. HERE SOME OF FEATURES…. WE WILL DRAW FOR THE GRAND PRIZE ON THURSDAY, MARCH 6TH (YOU DO NOT HAVE TO BE PRESENT TO WIN). WE WILL BE SENDING OUT MORE INFORMATION ON LOCATION AND TIME OF THE DRAWING. We want to see everyone from the 2nd floor participate in this fun event! Please see the attachment for some guidelines on goals for your steps each day and how to achieve them. The 2ndattachment is a sheet that you can print off and log your daily steps. **I have listed the least expensive price for each store, prices go up from there depending on additional features. Please remember this is a fun contest to encourage friendly competition and for everyone to ENJOY being active. If you have any questions, please let me or Joanie know. A few words of encouragement…. Congratulations to Brenda for winning the Takoma 2nd Floor Steps Contest!! As we enter our next letter focus N - Nutrition, I have already heard several fantastic ideas floating around - can't wait to show you what they come up with! I will also be back soon, to tell you about the CH health fair that 10 of my awesome coaches helped me with! If you would like to implement the "coaches model" in your organization, I would love to help you get started! As usual, I am behind on my blogging! But I did want to take a minute to tell you about a few things I have been apart of in recent days. 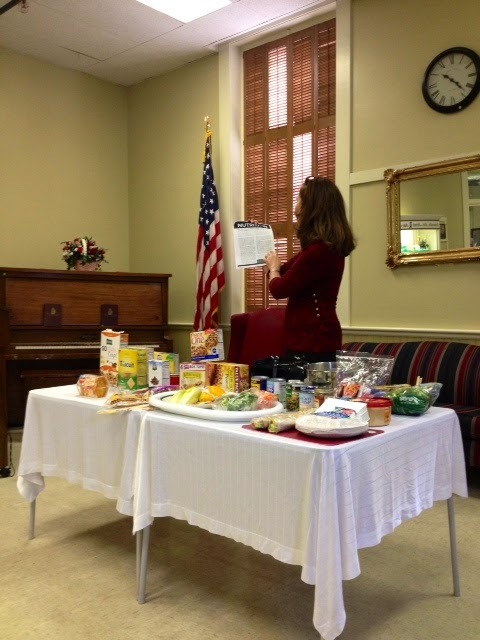 A few weeks ago, I had the pleasure of attending a "Healthy Meals on the Run" seminar, led by Joanie (the dietician from Takoma, who happens to be one of my Creation Health coaches as well) at the Roby Center. It was fabulous! I received lots of great information and tips related to healthy eating, as well as quick/easy/healthy recipes for meals and snacks. I will be sharing some of the things I learned here on the blog as soon as I have a chance. I did share with the group about Creation Health at the end of the presentation and passed out CH books, but the main reason I went is because I wanted to hear the information myself, because my family is in that stage where we are always on the go and I need all the help I can get as far as ways to eat healthy while on the run! I have also had the privilege of speaking to 2 weight loss support groups in the past few weeks. Each time, I gave members an overview of the CH program, including a brief description of each letter principle, as well as passed out books, bookmarks, pens and a "How Creation Healthy Are You" assessment for them to take in order to get an idea of where they are starting out. Please let us know if you need a speaker for your next event and I will be back shortly with more updates on what I have been up to lately!